We love Tegu!! 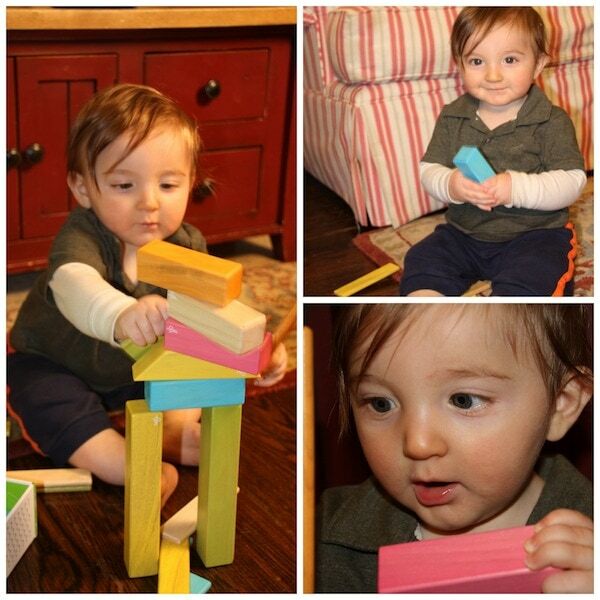 Both my boys are having so much fun with these magnetic blocks and we have quite the age gap in the Sweeney house. I love toys that work for everyone. Thank goodness we came across this one. Caleb and Liam had a chance to check out the Endeavor set which includes 22 blocks in 4 shapes: 6 mega planks, 4 long planks, 8 medium columns, and 4 short planks. 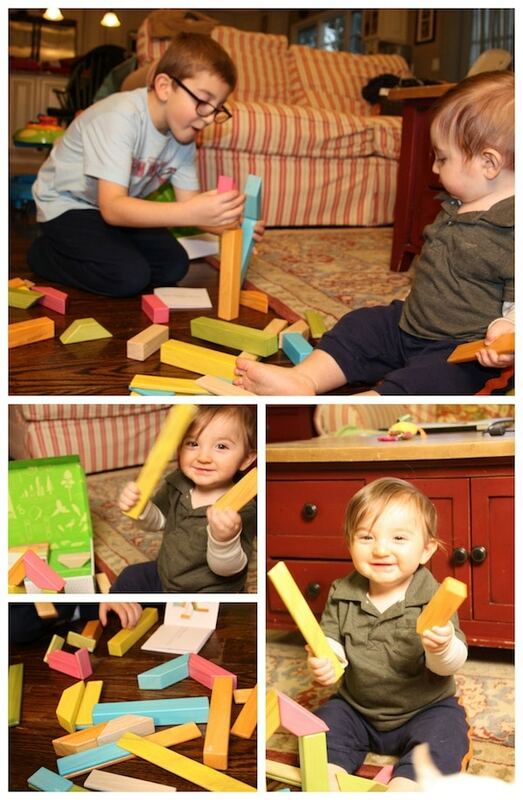 Liam kept building things and Caleb kept knocking them down (and eating them). Whatever works!! The two brothers were able to spend quality time together while creatively expressing themselves. So, What Is Tegu Made Of? 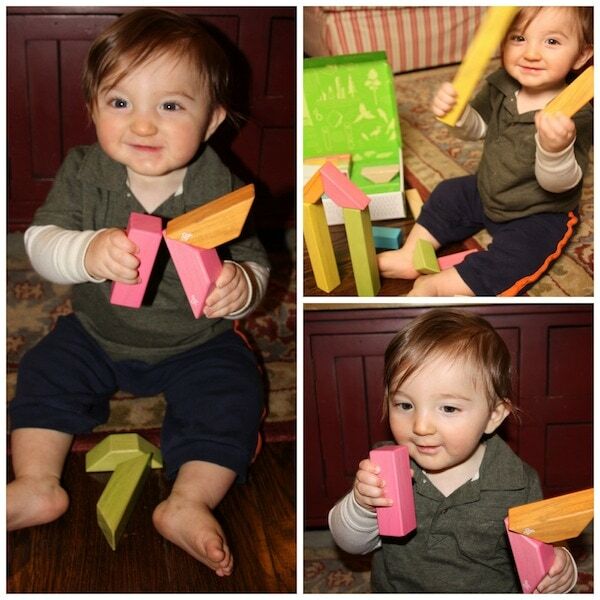 Pass down the Tegu toy from one child to another – the wooden blocks will last a lifetime (and more). Video games come and go, but classic toys like this? They stand the test of time! If you act FAST, you can save 20% off the Tegu website. Use code LASTCHANCE20 at checkout. Looking to have a little fun? 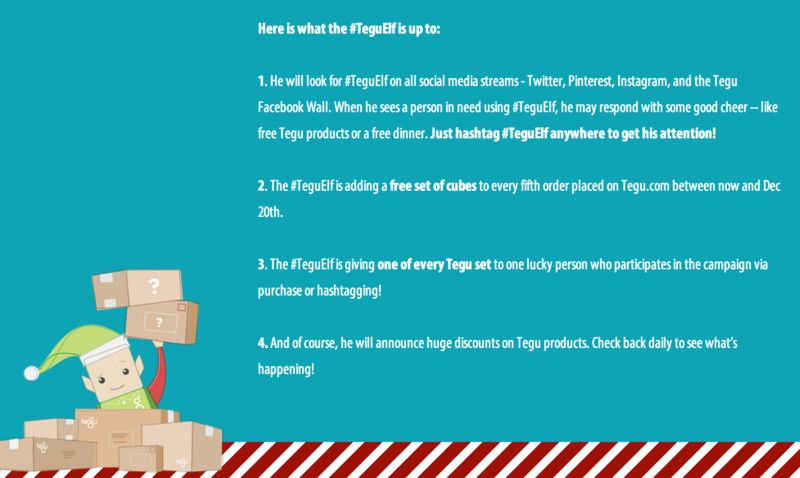 Check out this amazing social media campaign Tegu is throwing until December 20th! These magnetic wooden blocks are amazing. 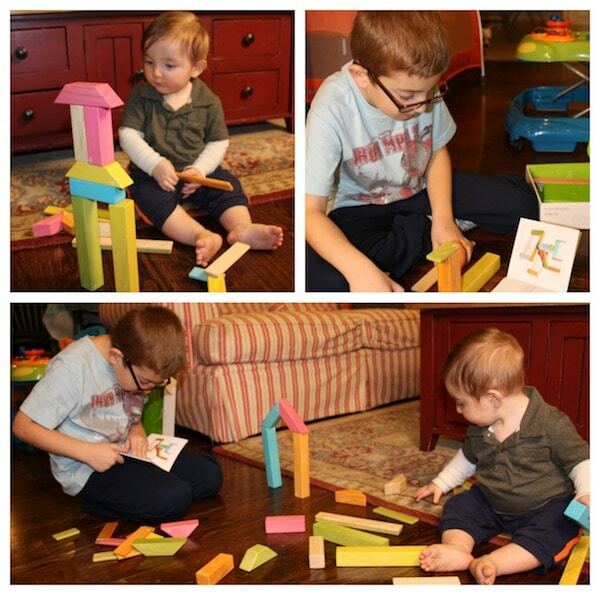 They allow children to build what ever it is they want without the blocks falling over. Their imagination can run wild.